When life throws you curve balls, when your path is not always clear, or when things are not in your control. These are the times that test your tenacity, your resilience and your perseverance. Young children are faced with a multitude of situations and obstacles everyday that require smart decision making and problem solving, and these few adorable picture books will no doubt offer some extra pointers on rising up to the challenge. 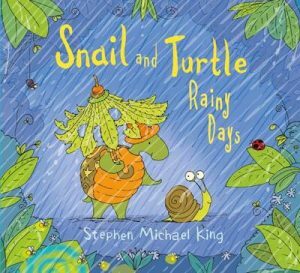 Snail and Turtle Rainy Days, Stephen Michael King (author, illus. ), Scholastic Press, July 2106. We were blessed with the presence of this endearing pair in their previous tale of kindred spirits despite their obvious differences. Stephen Michael King cleverly extends on this sentiment in Snail and Turtle Rainy Days – Turtle kindly takes Snail’s creative preferences into account in his plans to help out his friend. I just love the essences of reassurance, humour, playfulness and warmth amongst the dreariness of the scene. Just like the rain the words flow rhythmically and soothingly, as well as with great gusto as Turtle busily forges ahead with his plan to coax Snail out of his shell. Meticulously gathering, ripping, bending and chewing, and not forgetting painting of bright blobs and gentle swirls (for Snail), Turtle provides the perfect shelter to share with his favourite companion. The partnership of the divinely vivid and layered illustrations gorgeously ties together with the purity and fervour of its characters. Children from age three will fall head over shells in love with this charming couple all over again. 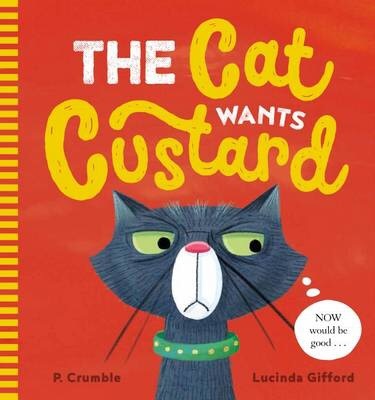 The Cat Wants Custard, P.Crumble (author), Lucinda Gifford (illus. ), Scholastic Australia, July 2016. When a cat wants something desperately enough, who or what can get in their way? In The Cat Wants Custard, I’ve never seen a more insistent, yet surprisingly patient despite the prickly attitude, feline on a mission. Kevin the cat is called by his owner to come for a treat. However, none of the suggestions are much to his liking. Kevin is in the mood for something sweet, and custard is definitely on the table (not literally, it’s still in the fridge). When the cat’s impressively accurate spelling and rhyming knowledge is unfortunately ignored (or misunderstood, rather), Kevin doesn’t give up. He lays in the kitchen for hours for his big opportunity. But when his prize is finally open for the taking, the feisty, custard-craving cat comes to a shocking conclusion. Children from age three will relish every funny thought of this persistent cat and particularly his cat-astrophic, not-so-sweet ending. My three year old is already asking for the ‘mashed potato’ sequel! 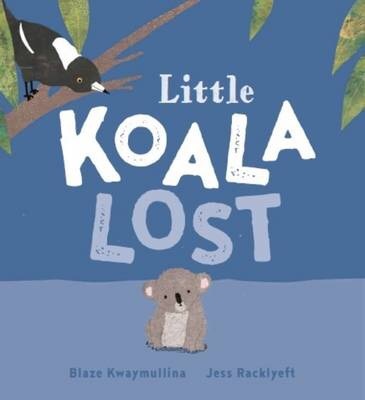 Little Koala Lost, Blaze Kwaymullina (author), Jess Racklyeft (illus. ), Omnibus Books Scholastic Australia, July 2016. Absolutely captivating acrylic paint textures and digital collages set the scene in this endearing counting story of a displaced little koala in the Australian bush. We feel for this tiny one as he tirelessly searches for a home and encounters rejection after rejection from the animals he approaches. Two marvellous magpies claim he can’t sing, three tricky turtles state he has no shell to protect himself, four pesky pelicans tell Koala he wouldn’t be able to catch fish without a bill, and so on. But just as he about to give up hope, it is on his tenth meeting that the koala family welcome the little mite into their gum tree home. The predictive sequential rhythm and use of alliteration in the text by Kwaymullina is beautifully supported by Racklyeft‘s palpable and inviting illustrations, both encouraging eagerness to continue to locate a satisfying resolution. Little Koala Lost is an adorably engaging and relatable story of belonging and perseverance, with which preschoolers will root for Koala’s wellbeing every step of the way.